Rhodochrosite is a manganese carbonate. Its main deposits lie in Argentina, but can also come from Chile, Peru, and South Africa. It has various layers of lace-like pink and white color patterns. 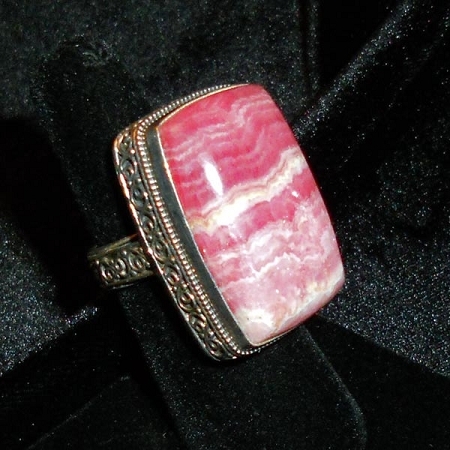 Rhodochrosite corresponds to the heart chakra and stimulates healing of love wounds.